The Cerulean Warbler (Dendroica cerulea) – one of the Americas’ fastest-declining migratory birds – now has more protected wintering habitat in Ecuador, thanks to a successful international effort to extend Narupa Reserve on the eastern slopes of the Andes. The reserve is owned and managed by Fundación Jocotoco, a partner of World Land Trust (WLT) in Ecuador. Funds for the 117 acre (47 hectare) extension were allocated from WLT’s Action Fund and boosted by contributions from American Bird Conservancy (ABC) and March Conservation Fund. Created in 2006 with an initial purchase of 250 acres (100 hectares), Narupa Reserve has been gradually expanded over the years. With this latest addition it now measures 1,871 acres (757 hectares). Situated in the province of Napo at elevations ranging from 3,300 to 5,250 feet above sea level, the reserve includes Andean foothill rain forest with a remarkable convergence of lowland and highland wildlife species. 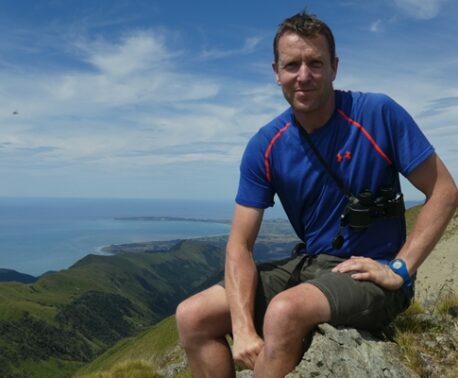 “Partnership is essential for lasting conservation success, and I am delighted that World Land Trust has played its part in this concerted effort to extend Narupa Reserve,” said John Burton, WLT Chief Executive. Registered as Vulnerable by IUCN, the Cerulean Warbler is among the most threatened migratory land birds wintering in South America. Both the Cerulean’s breeding and wintering habitat are being lost. The eastern slope of the Andes is one of the most important wintering areas for the species in Ecuador. During the winter of 2010-11, surveys in Narupa Reserve revealed that Cerulean Warblers are present at higher densities than is normally the case for this typically scarce bird and has led to additional conservation activities such as this recent land acquisition. 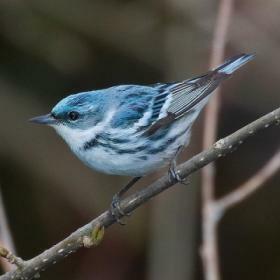 For overwinter habitat the Cerulean Warbler relies on a narrow belt of subtropical forests between 2,500-5,500 feet above sea level in sheltered river basins of inter-montane Andean valleys. Deforestation has cleared many important areas for the species and what little subtropical forest survives remains at risk, particularly from the conversion of traditional coffee plantations that provided suitable warbler habitat to ‘sun coffee’ plantations, devoid of the shade trees on which the birds rely. A view of Sumaco from Narupa Reserve. Photo © Nigel Simpson. Narupa Reserve is named for the Narupa palm, a tree of the region, providing fruit for a wide variety of wildlife. 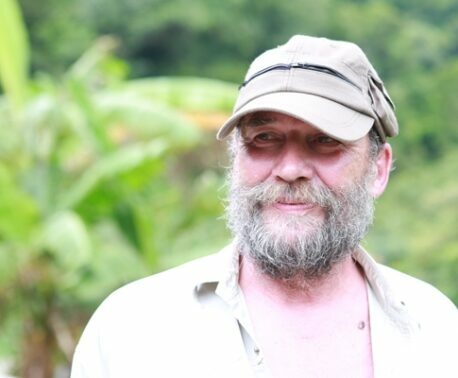 The reserve lies in the buffer zone of the Sumaco Napo-Galeras National Park and Antisana Ecological Reserve, which together protect 833,000 acres (337,000 hectares) ranging from humid foothill forest to high Andean grasslands. Within Narupa Reserve, more than 300 bird species have been recorded, and the list is still increasing. In addition to the Cerulean Warbler, other migratory birds that travel between the United States and South America’s humid forests are found in Narupa. Among them are the Blackburnian Warbler (pictured above), which was photographed by WLT supporter Steve Cale on a visit to Ecuador in 2013. Several threatened bird species are also found in the reserve, including Black Tinamou (Tinamus osgoodi), Military Macaw (Ara militaris), Coppery-chested Jacamar (Galbula pastazae), and Foothill Elaenia (Myiopagis olallai). WLT has supported a series of land purchases with Fundación Jocotoco to create new reserves and extend existing ones. 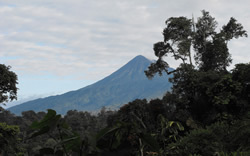 WLT has also had Carbon Balanced projects in three Jocotoco reserves: Buenaventura, Tapichalaca and Yanacocha. Plant a Tree: WLT is currently focusing its tree planting efforts in Jorupe, another reserve owned and managed by Jocotoco. Keepers of the Wild: WLT also supports Jocotoco through the Keepers of the Wild appeal, which funds rangers on our partners’ reserves.